We develop customized tours and events for groups of all sizes and host open events for individuals and small groups join. 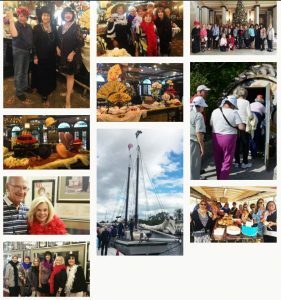 We have featured tours to great Florida locations in Miami, Ft. Lauderdale, West Palm Beach, Palm Beach, Martin County, Cocoa, Cocoa Beach and also St. Augustine, Lake Placid, Sarasota/Venice. Enjoy Florida historic and cultural sights – whether you live here or are visiting, so much to see and do! 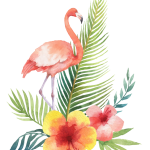 This special day begins as you leave at 10:30 for Jupiter, where you’ll have an early lunch at a wonderful specialty restaurant … a well-kept secret gem where the husband and wife owners oversee, prepare and present a delicious meal. The adventure continues as we head to the Marina in downtown Stuart to board our schooner for a private 2-hour sail. Miami’s Art Deco District is the first 20th century neighborhood recognized by the National Register of Historic Places with 800 structures of historical significance, mostly built between 1923 and 1943. Meet our Private Step-On Guide to begin our introduction to famed Ocean Drive, with building designs copied from famous ocean liners of the past, which were docked in the Port of Miami… featuring pothole windows, curved rails and flags. Depart at 8:30am to visit our historic museum built on the birthplace of the U.S. Navy Frogmen. The story, the heroes, the exhibits, are all captured in this water-view museum setting. The ground upon which The National Navy SEAL Museum was built in Fort Pierce, Florida, is where, from 1943 to 1946, the first brave volunteers trained as members of Naval Combat Demolition Units and Underwater Demolition Teams. Your day starts as you depart at 8:30 AM to experience the rhythmic beat, the sights, sounds, heritage and history that is “Viva Little Havana!” Hispanic culture seeps into the heart of this little slice of Cuba that has come to Miami. Immerse yourself in a day of color, excitement and Cuban style that makes you want to know more and see more. >Our Historian and ambassador, along with his associate tour guides will put out the welcome mat and provide a front-row seat to this pulsating “moving” show on your walking tour of Little Havana’s famed Calle Ocho. ..an experience like no otherTour the surrounding neighborhood and from the bus see life unfold filled with stories, history and the many ethnic groups that at one time or another called this home. Be a part of the scene at every stop as our guides welcome you to Little Havana. Dance … Learn some Latin steps, laugh out loud, toast your friends, mix and mingle, and “let your hair down” with an afternoon of pure enjoyment! Chef will cook Chicken Paella in his huge paella pan, to be served with salad, roll and dessert … and did we mention Sangria?! Everything you wanted rolled into a delightful, nostalgic Party and some other Surprises! Area history comes to life as a docent leads your tour of the 1916 West Palm Beach Courthouse, which has been restored to house a wealth of displays and artifacts. The museum, developed by Palm Beach County, is named the Richard & Pat Johnson Palm Beach County Museum. The charming 1926 Chesterfield Hotel, a charming boutique hotel on the National Historic Registry, provides a wonderful setting for a delicious lunch. The afternoon’s highlight … The Paramount Theatre “you want to be in pictures setting”. West Palm Beach has always stood in the shadows of its wealthy neighbor Palm Beach, but no more … today, she’s come of age! Join the coming-out party with our “Curtain Call Tour” of the “what was” and “what is” in West Palm Beach! Our Step-on Tour Guide starts the adventure at the 1916 Courthouse, fully restored to house the Richard and Pat Johnson Museum. Our docent will lead you through history-based exhibits and the tales of West Palm Beach beginnings and the famous people who played a part in the city’s growth. Call us today at 800-838-5931 to plan your event!